Regulation — simply the word was once enough to send a shudder down the spine of the crypto community. One of the primary drivers behind the success of blockchain is a libertarian, anti-establishment set of beliefs, and conceding to regulatory bodies in an attempt to fit into the existing financial framework seems to go against the beliefs upon which the blockchain ecosystem was built. Yet it has become abundantly clear in the past year that in order for blockchain to succeed, there will need to be some degree of assimilation with the traditional way of doing things. Sure, blockchain as a technology has given rise to true peer-to-peer borderless transfer of value, and innovative ways to raise capital or invest in promising projects, but we have also seen the other side of the coin: cryptocurrency being used as the primary exchange of value for illicit activities, and people taking advantage of the uneducated investor through scam ICOs. As nefarious and anti-crypto as regulation once seemed, some in the crypto community are slowly warming to, or even welcoming the impending increase in the regulation of the blockchain ecosystem. So what are we all afraid of? What does “regulation” even mean in the context of cryptocurrency? When “regulation” is mentioned in the context of cryptocurrency, it is likely in reference to two main concepts: Know Your Customer (KYC) and Anti Money Laundering (AML) regulations, and the regulations surrounding the issuance and trading of securities. Regulations are created for a reason. In the case of securities, the intent of regulations is to protect investors and make sure that funds are being used for their intended (and legal) purposes. KYC and AML regulations were created in order to verify the identity of customers and assess the risks of them using a business relationship to facilitate money laundering or other illegal activities. KYC and AML regulations are typically mandatory for all banks and financial institutions, though this varies country-to-country. Even as late as 2018, the majority of crypto companies and exchanges made minimal efforts to establish the real-world identity of their customers. That practice has rapidly changed as crypto companies are realizing that they need to follow KYC and AML practices in order to avoid potential regulatory crackdowns. The KYC procedure is usually quite simple: it involves the collection of basic personal information such as name, address, SSN, etc. This info is also checked against lists of known parties involved in criminal activity or otherwise at a high risk for money laundering in compliance with AML regulations. AML procedures also involve keeping track of each client’s transactional behavior and determining if it is indicative of money laundering behaviors. When people discuss regulation in regards to blockchain, they are most likely referencing securities regulations. What is or is not a security is widely debated. In the United States, the Howey Test is the main tool used to make this determination. To quickly summarize: under the Howey Test, a security is an investment of money in a common enterprise with the expectation of profits derived solely from the efforts of a third party. While this test must be applied on a case-by-case basis to each digital asset, SEC chairman Jay Clayton famously stated “I believe every ICO I’ve seen is a security.” Lately, in order to remain on the right side of US law, blockchain companies holding ICOs either avoid the US entirely, or adhere to US securities regulations. The offerings made under these regulations are commonly called security token offerings (STOs). In the United States, securities must either be registered through an S-1 filing (the filing used when companies are conducting an IPO), or they must be issued through one of the several exemptions. Issuing securities under an exemption is a more expensive and difficult process than selling tokens through an unregulated ICO. In order to make use of an exemption, the issuer needs to file a form with the SEC. For the most commonly used exemptions (Reg D and Reg S), the SEC does not actually go through a review period of the issuance. The issuer is, in some cases, even permitted to begin the securities issuance prior to the filing of the form. The exemption process is not a gatekeeping method for the SEC to determine which issuances are good investments. Instead, it serves as a way for the SEC to remain informed on all private issuances while ensuring that the proper procedures are followed. The primary effect of the transition from the ICO model to STOs is that the pool of investors permitted to invest in a STO is much smaller. In the US, the vast majority of private securities are Reg D issuances, which are typically restricted to “accredited investors.” An accredited investor is someone who either has a net worth exceeding $1MM, or an ongoing annual income of $200,000 or more ($300,000 including spousal income). There is much debate whether restricting private investment based on economic class produces the desired effect of protecting investors. I will cover this a bit more in-depth later on. Exempt securities also typically have restrictions surrounding their ability to be resold. In the past, when the SEC was not paying much attention to crypto, ICOs were held, then tokens were listed and sold on crypto exchanges almost immediately. Now, with most tokens being classified as securities, they must be issued through the appropriate exemption, and are subject to resale limitations. For instance, securities issued through Reg D are typically unable to be resold for a year. When they have passed that holding period, the issuer must make certain information publicly available in order for their securities to be eligible for resale. The regulation of security token issuances, or any issuances at all, has its benefits. The SEC may be slow to adapt but they don’t create rules without reason. In the case of security issuance regulations, the reason is investor protection. The accreditation standard does provide some level of protection for the unsophisticated investor. Placing limitations on who can invest in an unregistered securities offering significantly thins out the potential investor pool, which causes issues for legitimate projects, but also makes raising money harder and less enticing for bad or outright fraudulent companies. The ICO craze that marked the end of 2017 showed why we have investor protection laws in the first place. ICOs operated outside of securities laws, and investors were able to throw money at any project that had a catchy pitch or decent whitepaper. Unfortunately, many of these companies were all pitch and no plan or product. Many of these “investments” are already worthless and their investors have been left in the dust with no recourse for the deception they endured. If ICOs had been subject to greater regulatory scrutiny, there would have been far less outright fraudulent ICOs, as the potential reward would be lesser, and the penalties far more apparent. The crackdown on crypto and the transition towards a more regulated blockchain ecosystem has been galvanized by the presence of rampant fraud within the industry. Crypto has often been called the “wild west.” While that may be an unfair characterization, the industry is far riskier than the traditional capital markets. This does create a faster moving, more accessible market, both for investors and entrepreneurs, but the risks involved made the largest players — institutional investors — unwilling to venture into the market. A common hope among crypto investors is that once institutional investors are comfortable investing in crypto, demand will skyrocket, and prices will increase. Institutions entering the market will legitimize cryptocurrency and send the message that the crypto asset class is here to stay. Despite the wary attitude the crypto community has towards regulators, institutions view increased regulation as a positive and a necessary step before they can begin making crypto investments in earnest. Financial risk is amplified when dealing with other people’s money. Individuals can decide for themselves whether the risks of loss associated with crypto are worth the potential upside; however, institutions face not only the risk of financial loss, but also the risk of further repercussions due to the misapplication of fiduciary responsibility, including financial penalties and reputational damage. As it stands, the risk of institutional crypto investment outweighs the reward. Increased regulation will decrease blockchain investment risk and increase institutional investment. Increased regulation will increase the overall quality of token issuances. Requiring issuers to adhere to securities laws raises the barrier to entry in the token fundraising market and places token issuances under a higher level of scrutiny. A more difficult and highly scrutinized token issuance process will discourage fraudulent or poorly thought-out projects from holding an ICO, resulting in security token issuances being higher quality than the ICOs we have seen in the past. Though it is true that a higher barrier to entry increases the overall quality of projects within the crypto space, it also screens out high potential projects due to the financial and regulatory strain that managing a compliant issuance places on smaller, capital-starved companies. Cryptocurrency and ICOs grew quickly in popularity in a large part because they offered investors the opportunity to invest in projects much sooner than is possible with existing securities laws and fundraising constructs. On the other side of the coin, early stage companies are able to access capital quickly and easily to help finance the development of their products through the ICO model. The ICO model was popular due to its simplicity. Companies with great ideas or products could easily raise funding without having to spend time and money determining how to structure an offering and what regulations they had to follow. The classification of tokens as private securities for issuers pursuing Reg D or Reg S exemptions greatly reduces the potential investor pool by restricting those who are able to invest based on the accreditation standard. 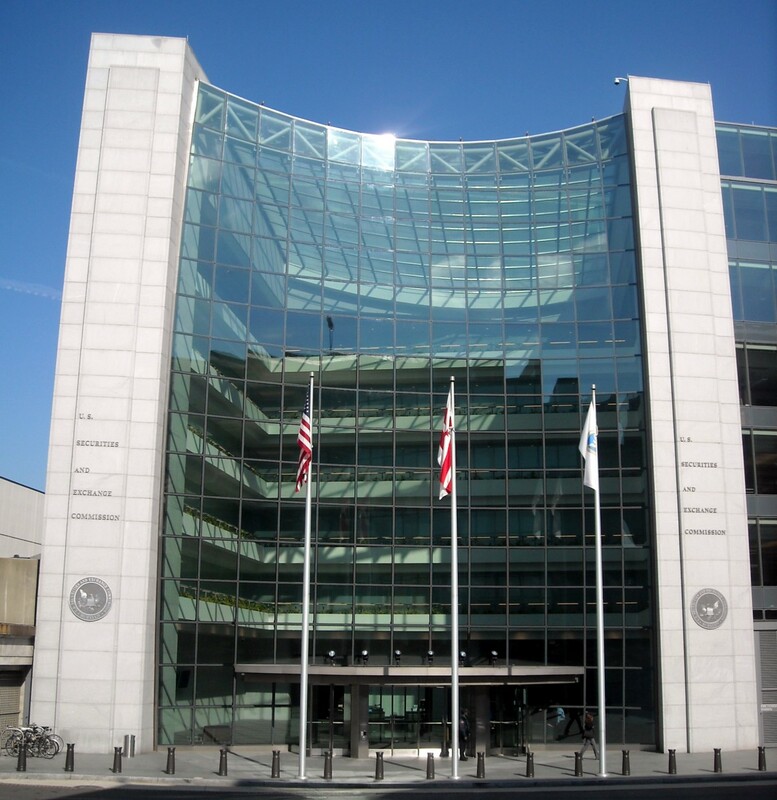 Issuers are permitted by the SEC to sell to non-accredited investors outside the US, but the issuers must comply with each investor’s local regulations, some of which include their own accreditation rules. Accredited investors make up a small fraction of all investors in the US, and excluding non-accredited investors from investing in private issuances limits the issuer’s ability to raise capital while denying “unsophisticated” investors the opportunity to invest in early stage, high-potential projects. The accreditation standard was created to protect less financially savvy individuals from being able to invest in private ventures with a limit amount of information. The concept is noble: protect the unsophisticated from being taken advantage of. The execution of accreditation standards; however, is a bit ham-fisted. Using net worth or income as a proxy for investor sophistication is inaccurate at best. Including tests of financial acumen as a means by which investors can attain accreditation status would help close the gap between wealth and knowledge. Accredited investor limitations potentially increase wealth inequality by denying less wealthy investors the opportunity to invest in the traditionally high-performing private equity sector. This “con” is related to the experience users face when attempting to purchase or trade tokens. While not nearly as important as the other considerations, which affect the entire fundraising ecosystem for private companies, it does have an impact on the ease of investment. Early on, the token investing experience was relatively simple: users would simply create an account using their email to access the token market. Customer identification procedures have slowly ramped up from there, with exchanges and ICO issuances requiring increasingly more identifying documents and information in order to permit entry onto their platform. Customer identification procedures are implemented as part of KYC/AML — a program designed to combat money laundering and terrorism financing. Obviously, most users do not engage in these activities, and so to them these procedures are somewhat of an inconvenience, but these programs are put in place to reduce criminal activity, so perhaps a little additional paperwork is a small price to pay. Despite the initial fear of regulation within the blockchain ecosystem, more regulation will most likely benefit the crypto community, at least in the short-term. However, the pigeonholing of crypto to existing securities regulations preserves the status quo, and diminishes the disruptive and revolutionary promise that crypto once held. Perhaps that was to be expected: it was always unlikely that the emergence of crypto would immediately spur regulators to change regulations in order to accommodate a new asset class. Changes in regulations are rarely immediate, and while current rules are not tailor made to crypto, their application, though somewhat stifling, is not by any means a death sentence for the development of blockchain technology. Stricter regulation will have its immediate downsides: it will freeze out some valuable projects that would have found funding through the unregulated ICO model, and it will again exclude less wealthy investors from investing in early stage ventures through the application of accreditation requirements. Cryptocurrency and the ICO model, while exciting, has done more harm than good for the average investor, and regulation in the near term should be welcomed, as it helps protect investors from fraud and will make institutions more willing to invest, increasing the overall health of the crypto economy. Over time the hope is that rules will be rewritten to better fit crypto and the token model, but right now, I think that the imperfect application of existing regulation is better than no regulation at all.